GammaTech has been known to be one of the more famous names in the rugged device market, and this time around they do not disappoint with the Durabook S15C notebook that delivers portability as well as features which are seldom found in notebooks in its class, that is, designed for rugged environments. Let us read more about the GammaTech Durabook S15C in the extended post. The S15C notebook was specially engineered and designed to GammaTech’s renowned tough standards, boasting a magnesium alloy case which is 20 times stronger than ABS plastic, and has undergone rigorous testing to Mil- Standard 810G for drop and shock resistance. As for the safety of your data inside, fret not – a flexible hard drive cable design will absorb shock from drops, delivering protection for your important data while anti-shock mounting technology that is located around the LCD will prevent your display from experiencing accidental damage. There will also be additional protection afforded by the unit’s unique spill-resistant design, so you can go ahead and pour water all over the keyboard whenever you are stressed, nothing inside will get fried. 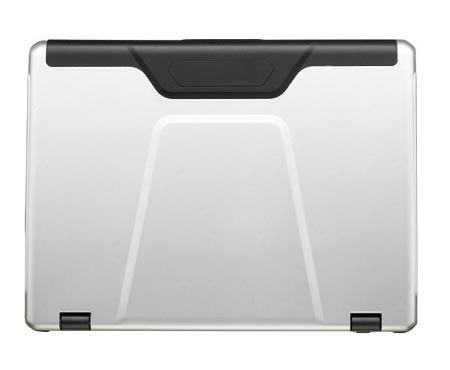 Not only that, the touchpad and switches are also protected from spills as it won’t seep into sensitive interior parts. With GammaTech’s exclusive optical-disk-tray lock, there is also unintentional tray ejection due to drop and vibration. The inclusion of double protection smart battery circuitry makes sure that any damage caused by current or voltage surges and overheating will be prevented – after all, this is an essential piece of concern for on-the-road users who require extra power protection. How does it fare in terms of performance though? With a choice of Intel i7 and i5 processors rocking to the Intel HM55 chipset, you certainly won’t be stuck with a performance slouch, and its dual-channel DDR III SODIMM slots also deliver up to 8GB of memory. With an internal optical drive slot, you can opt between a DVD super-multi drive or Blu-Ray Disk combo drive.